The Italian Marque has released several new models to update its offering of late, and one would be forgiven to think that Ducati are on a roll so to speak. This is evident through unique offerings that aim to appeal to a broader market such as the Scrambler, Diavel x and Hypermotard 939 amongst others. 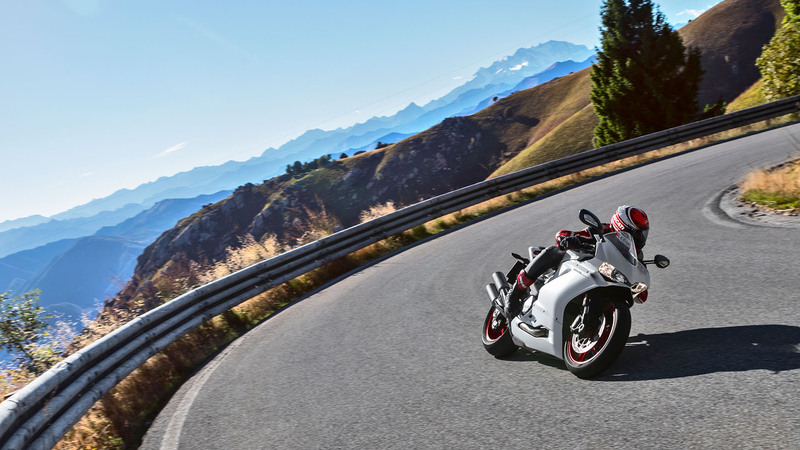 For the ‘middleweight’ category, Ducati has unveiled the 959, of which the predecessor was the highly aesthetic 899. In all honesty the Panigale has been aesthetically pleasing from day 1 in all shapes and forms, as a Ducati should be. 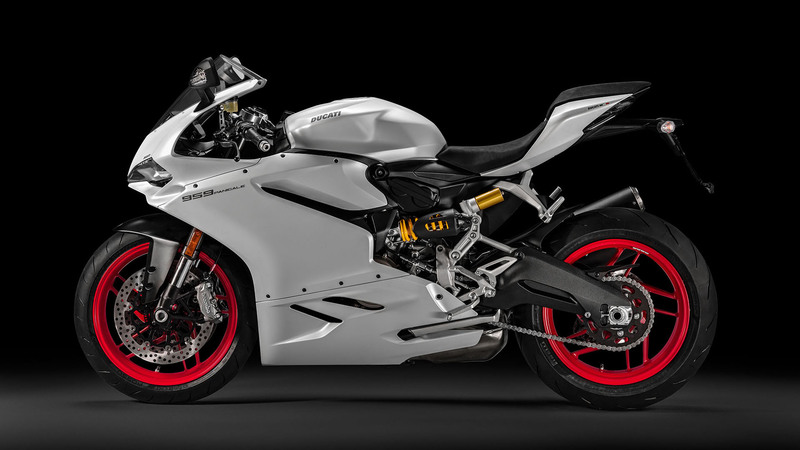 So now the ‘middleweight’ sportbike offering from Ducati reads 959, which by my mathematical genius, is not far from 1000, and 1000 is the enclave of the superbike, so the question has to be asked, is the 959 really a middleweight contender? Well in a nutshell yes, and I for one am happy that there is a ‘big middleweight’ offering from the marque. Having an oversized middleweight is not new by the way. Look at the Kawasaki Z800, the Suzuki GSX-R750 and the MV Agusta 800 triple selection to name but a few. So the 959 is welcomed into this market. But what does this mean? Well if Ducati have managed to keep the unique handling characteristics of the smaller capacity models and matched it up with more grunt, then, by using the power of deduction, the world is a better place. And I am glad to report that they have. So the power, although not as vicious as the mighty 1299, is plentiful for the road and very usable on the track. It also works extremely well with the ergonomics of the baby Pani. The riding position is obviously track orientated but despite the compact size of the bike, it does accommodate slightly taller riders. The wide handlebars give the impression you can really toss it into the corners, and when you do, it sticks there requiring minimal effort to hit the apex. Truly wonderful. One drawback of the monocoque design however is that if you are involved in an accident of sorts, the bike will probably be a write off. So make sure you have adequate insurance, but if you ride a Ducati why wouldn’t you? The clutch action is silky smooth as is the gearshift movement, particularly with the quickshifter across the RPM band. The race-like LCD dash features all the readouts you could possibly want whilst also being easy to manage. It also features a stopwatch for the track day enthusiasts amongst us. The bike is very easy to ride and promotes confidence. The BPF fully adjustable Showa forks allow for good front end feel as well as soaking up our bumpy roads with the standard settings. This gives testament to the engineers at Ducati and the incredible machines they have manufactured of late. Rear end feel was also communicative and I for one love the design of the rear shock and suspension coil appearing on the side of the bike which further adds to the design ‘wow’ factor. Onboard you receive a host of electronics namely: ride-by-wire throttle, Ducati traction control, Engine brake control, Ducati quickshift and the Bosch electronics ABS suite which is linked up to strong Brembo M4.32 monoblock calipers. All these combine together beautifully on the road with little intrusion depending on riding mode, of which there are 3. Race, Sport and Rain. ABS, traction control, engine brake control as well as engine mapping has a preset for each of these riding modes, which you can then fiddle with. I left mine up to expertise of the Ducati engineers. In summary the new 959 serves up fun in abundance, is easy to ride, comfortable, silky smooth and has enough performance for the track or road. With the Akrapovic aftermarket exhaust that I was fortunate enough to experience, the 959 truly sings. You will never tire of listening to the growl of the wonderful engine. An option I would definitely specify. Let’s also remember the 959 costs less than its big brother but serves up a lot of performance. Criticisms? Well the under-seat exhaust s-piece will grill your ring and it is Italian so it did run a bit hot in the traffic here in Southern Africa. However these minor drawbacks pale into insignificance with you realise the 959 is a triple threat, she dances, she sings and she turns heads. Awesome little machine. Fuel supply system: Mitsubishi electronic fuel injection system. Twin injectors per cylinder. Full Ride-by-Wire elliptical throttle bodies. Front: Fully adjustable Showa BPF fork. 43 mm chromed inner tubes. Rear: Fully adjustable Sachs unit. Aluminum double-sided swingarm.